LABRANDA Senses Resort is now part of MP Hotels. This is the hotel group’s first Croatia property, and is located in the popular and scenic island of Hvar. 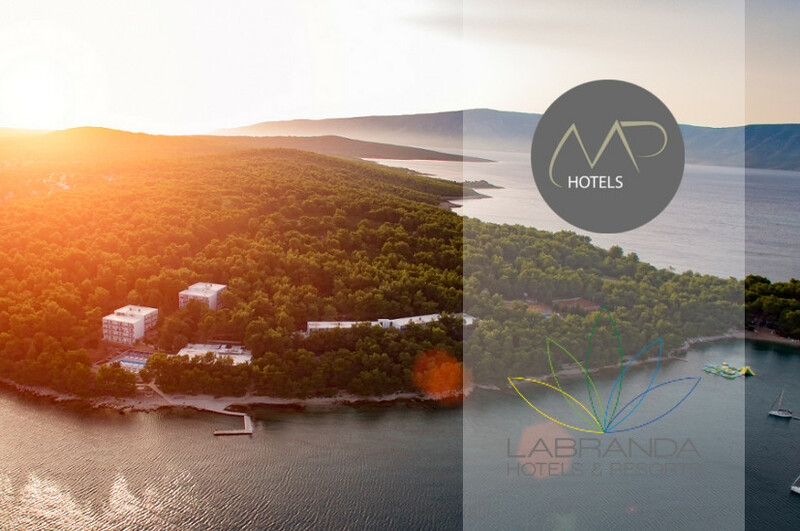 Munich, Germany – MP Hotels is proud to announce the addition of LABRANDA Senses Resort in the island of Hvar, Croatia to its portfolio of hotel properties. This the first property in Croatia for the budding and emergent hotel group that is growing exponentially worldwide. MP Hotels currently houses an assortment of 5 brands: LABRANDA Hotels & Resorts, Kairaba Hotels & Resorts, Design Plus, Lemon & Soul and Clubs. This is an important milestone for the hotel company that now operates in 11 countries. Senses Resort will be branded as a LABRANDA – Select property. Hotels under the Select sub-category offer all-inclusive services for families or individuals on the hunt for holiday fun under the sun. They offer excellent services and in recently renovated facilities with pools, multitude of facilities and activities, in addition to specialized restaurants. Located 50 meters from the sea, the all-inclusive LABRANDA Senses Resort stands as a bastion of relaxation. The contemporary designed hotel is awash with aromatic pine trees and Mediterranean plants. Giving a lush vibe that is unlike most traditional Mediterranean hotels. The hotel contains a selection of 184 newly renovated, modernly designed rooms across 3 separate buildings. Senses offers suites and double rooms to choose from. LABRANDA Senses Resort is a relaxing beachside hotel with a main restaurant boasting a sea view. The two onsite bars allow guests to quench their thirst with refreshing drinks in a modern ambiance. Senses also has many sports facilities, along with a wellness and spa area that gives guests the ability to strengthen and rejuvenate their bodies. The hotel’s delightful cool pool is a constant option for guests, and one of the more active areas of the property. Hvar Island has been voted as one of the most beautiful islands and is an ideal destination for travelers looking for a sunny Mediterranean getaway. The different towns offer elegant restaurants, as well as more subdued. Travelers can also explore the island’s sea life while scuba diving or in a traditional Latin sailboat. Vineyards are another popular destination for visitors, considering Hvar is home to many award-winning wines. LABRANDA Senses Resort is also close to Vrboska, a town located along a narrow and curving fjord, with a rich fisherman’s tradition. This small town offers many exciting activities, and is often referred to as “Little Venice” due to its many small bridges. Guests can enjoy a sun-filled day on countless beaches, indulge in the local and healthy gastronomic offerings or take longer excursions to the Grapčeva Cave.